We are proud to announce that Cariz Homeowners Association has selected Tinnelly Law Group as their associations’ legal counsel. 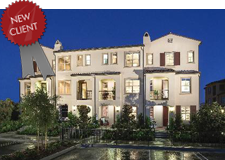 Cariz is a brand new community in the Village of Portola Springs in the City of Irvine. Spanish and Santa Barbara architecture create timeless curb appeal at Cariz by TRI Pointe Homes, a fresh collection of attached homes featuring hard-to-find single-level living and three-story plans that blend open design with relaxed sophistication. As part of the Village of Portola Springs, homeowners will enjoy proximity to the new Center Terrace Park with resort-inspired amenities and recreation. Our HOA attorneys and staff look forward to working with Cariz’s Board and management.